Target.com has a great deal on the Cloudy with a Chance of Meatballs Blu-ray/DVD combo pack, it’s only $5.99 (reg $14.99). This is a family favorite in our house! Save an additional 5% + get FREE shipping when you pay with your Target REDcard. FREE shipping on orders of $50 or more. 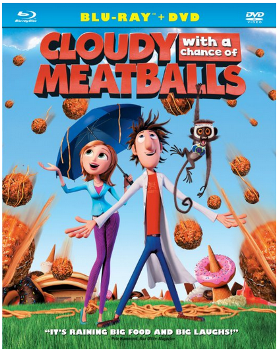 Amazon also has Cloudy with a Chance of Meatballs Blu-ray/DVD Combo in stock right now for $5.99, which is another great purchasing option.